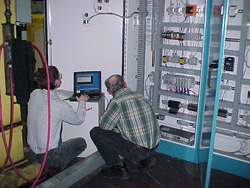 Field Supervision Services at J.B. INDUSTRIES, Ltd.
JBI offers field supervision to assist with installation and start-up of our specially designed and/or manufactured machines. Upon request, we can provide millwright labor with skills and equipment for machine setting, electrical, air, and hydraulic interconnection. 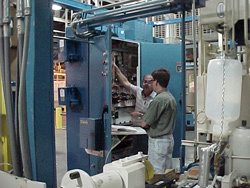 Do you have repair or maintenance problems with existing machines? We will be glad to look at your problem and offer services to help repair your existing machine or equipment.